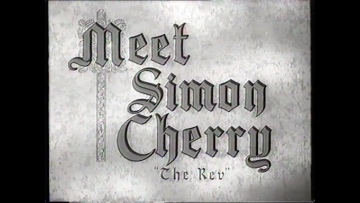 Simon Cherry “the rev”, is a churchman whose flock in the tough East End of London is a severe tax on his energies. He decides to take a break away from it all and sets off for a holiday in the country. His car breaks down in the middle of nowhere and he seeks help at the remote mansion belonging to the highly respectable Harling family, who offer him shelter for the night. But the death of Lisa Colville, the beautiful daughter of Lady Harling, prolongs his stay as he decides to investigate its strange circumstances. His enquiries uncover a complex tale of family tragedy and intrigue. Could the butler really have done it? John Bailey by arrangement with A.B.P.C. Peter Bryan, one of Hammer’s Camera Operators at this time, later became a scriptwriter, His writing credits for Hammer include “The Hound of the Baskervilles” (1959), “The Brides of Dracula” (1960) and “The Plague of the Zombies” (1966). Details were complied viewing the actual film.